Welcome to the 2012 Spooktacular Paranormal Reading Challenge! I can't believe it's already been a year since the last SPRC, and I also can't believe I get to do this a second year in a row! I hope you're all as excited as I am to get some amazing paranormal books read and reviewed. *To participate in the 2012 Spooktacular Paranormal Reading Challenge, you need to sign up HERE. I'm leaving the sign-ups open through October so that if people want to join in late, they can. Don't forget that you have to follow Ramblings of a Daydreamer to qualify for the prize at the end. *Read and review a minimum of three (3) paranormal books between October 1st and 31st and post your reviews in the linky below. Once you've completed your three reviews, keep linking up if you have more, because every review you post gets you an extra entry for the giveaway at the end of the month. Reviews must be posted for the first time during October. *You don't have to have a blog to participate, as long as you can post your reviews somewhere - GoodReads, Amazon, YouTube, etc. All types of books count - physical copies, ARCs, ebooks, audiobooks. Young adult and adult books count. *Don't forget that I'm being loose with the term 'paranormal' - anything otherworldly counts. *If you're on Twitter, be sure to use the hashtag #SPRC so we can all find each other and cheer each other on. Also, it would be awesome if you took time to visit some of the other people participating and read their reviews. *The linky will close at 11:59pm EST on October 31st, entries will be added up, and the winner will be chosen at random and contacted a day or two afterward. 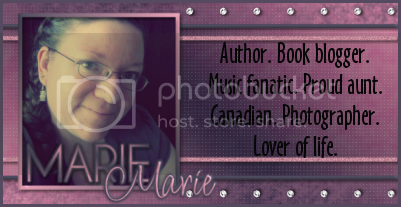 If I've forgotten anything or you have questions, please don't hesitate to leave a comment, tweet me (@SweetMarie83), or email me irishstar_83(at)hotmail(dot)com. Add your reviews to the linky below. Include your name and the name of the book you're reviewing - something like This Dark Endeavor (SweetMarie83). just a confirmation: are reviews written in our own native language ( french/spanish etc) also count like last year or only english ones? thank you a lot Marie! thank you. it's a real pleasure to participate again! That's fine, Miki. :-) I'm going to go check out the book right now.